Like many this job in West Wickham, London came from a recommendation. 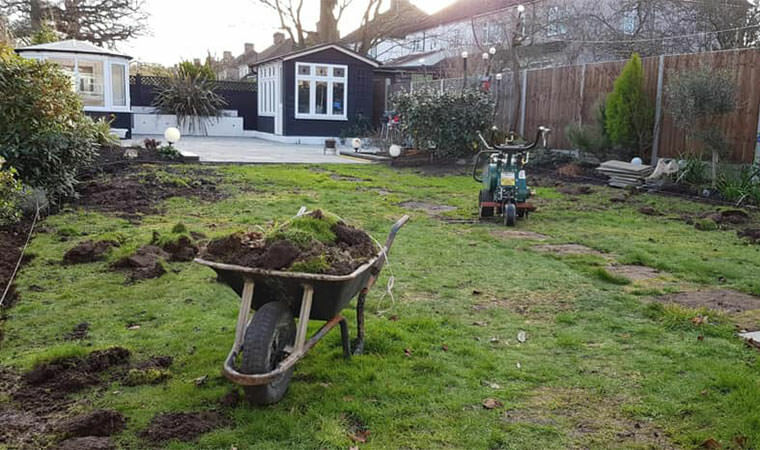 The back garden was a good size and the owner struggled maintaining it so we were called in to apply a makeover. 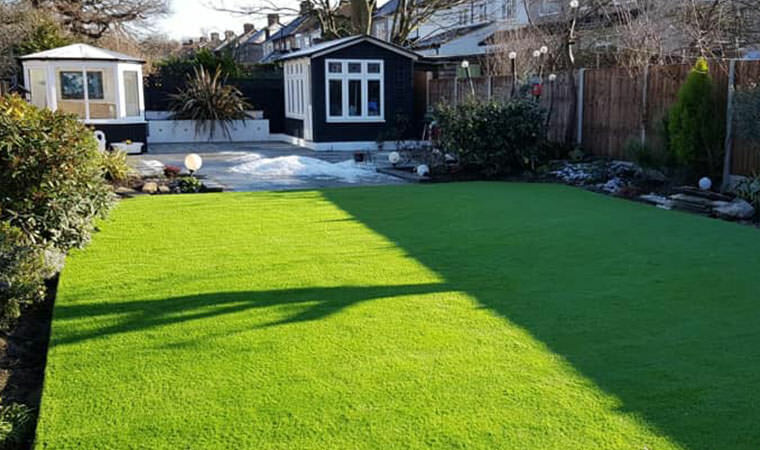 The 90sqm garden required 14 tonnes of aggregates to create a good foundation for the grass. In this wintry weather that’s like moving 14 tonnes of ice! Not fun! It was all well worth it in the end though as the garden looks great and much bigger as the grass now links the 2 patio areas. The Rectory was the grass of choice.